Mariam Rasuli has been serving as the Business Manager for Al Fatih Academy since 2012. Ms. Rasuli holds a Bachelor's Degree in Business Administration and a Master of Science in Accounting and Management. She also served as an Accountant for an Islamic School in California prior to moving to Northern Virginia. 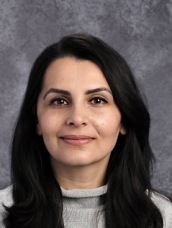 Ms. Rasuli has three children attending Al Fatih Academy. She enjoys traveling and spending time with her family.